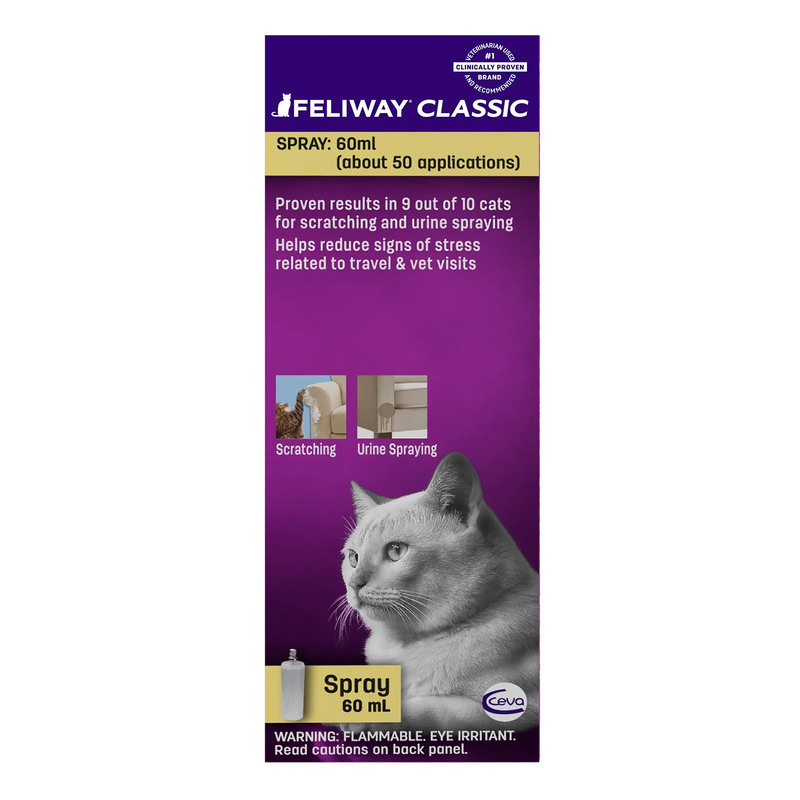 Feliway Spray is ideal for scratching, spraying, going to the vet and cattery. It can be used as a supplement to Feliway Diffuser. You can apply this spray on the furniture, doorways, cat-flap, window sills and to other prominent objects within your home. Shake the bottle & apply the spray daily. Do not spray directly on your pet. FELIWAY should not stain furnishings/wallpaper but it is recommended to test on a sample before use. To prevent a relapse use FELIWAY daily for at least 30 days. If your cat lives in a multi-cat household use as above, but extend the period of use to at least 45 days and increase the frequency of application to twice daily. Remember, FELIWAY does not cover or mask bad smells. There are times when my cat behaves very absurdly. In such situations, I use this product and spray it all over the house. Instantly I notice calmness in my cat. I use this product on my kitty whenever I take her to the veterinarian. It relieves stress of my feline. Thank you so much!!! My kitty was in great stress since we relocated to a new house. I tried everything but was not able to decrease her anxiety. Then one of my friends suggested me to try this product. The results have been amazing. Now my kitty is stress free and anxiety free thanks to Feliway Spray. Thank you so much!! !